Counselors are available to you for in-person meetings or virtually, through Cranium Café. 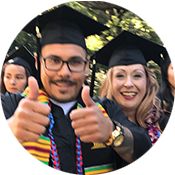 To make a counseling appointment, call the EOPS front office at 408-848-4740. The platform we use for the video interaction is intuitive, user-friendly and requires no software download or installation. All you will need to do is "knock on the door" of one of our available counselors and meet them online! Use Chrome or Firefox as your web browser - you will have technical problems if you use other web browsers! Make sure there is proper lighting in the room. Make sure there is little to no background noise. No interruptions – Do not answer phone calls, texts or surf the web during the session. It is important to give your full attention to the counselor. Be respectful when communicating with your counselor. Virtual Drop-In sessions are designed to address quick concerns. Virtual appointments will be available Spring 2019. Wednesday, March 20, 2019 8:00 a.m. 4:00 p.m.
Wednesday, March 27, 2019 8:00 a.m. 4:00 p.m.
Wednesday, April 3, 2019 8:00 a.m. 4:00 p.m.
Wednesday, April 10, 2019 8:00 a.m. 4:00 p.m.
Wednesday,April 17, 2019 8:00 a.m. 4:00 p.m.
Wednesday, April 24, 2019 8:00 a.m. 4:00 p.m.
Wednesday, May 1, 2019 8:00 a.m. 4:00 p.m.
Wednesday, May 8, 2019 8:00 a.m. 4:00 p.m.
You may meet with a counselor during the hours listed above by "knocking" on the virtual door of an available counselor (indicated by a green button on their Cafe Card, shown below). 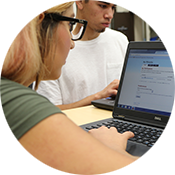 You will then be prompted to login using your Gavilan ID and password to authenticate as a student at Gavilan before beginning your session. Your session will begin with a text chat window and it will be replaced by a video window once the counselor "invites you in." *Please note, all online counseling sessions will be recorded for record-keeping purposes.